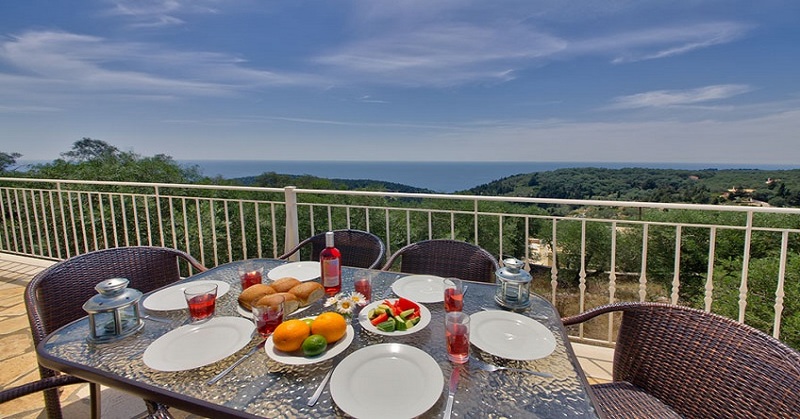 In an elevated position enjoying stunning views of the western and northern coast of Paxos we are delighted to have Villa Sunset in our Paxos collection. 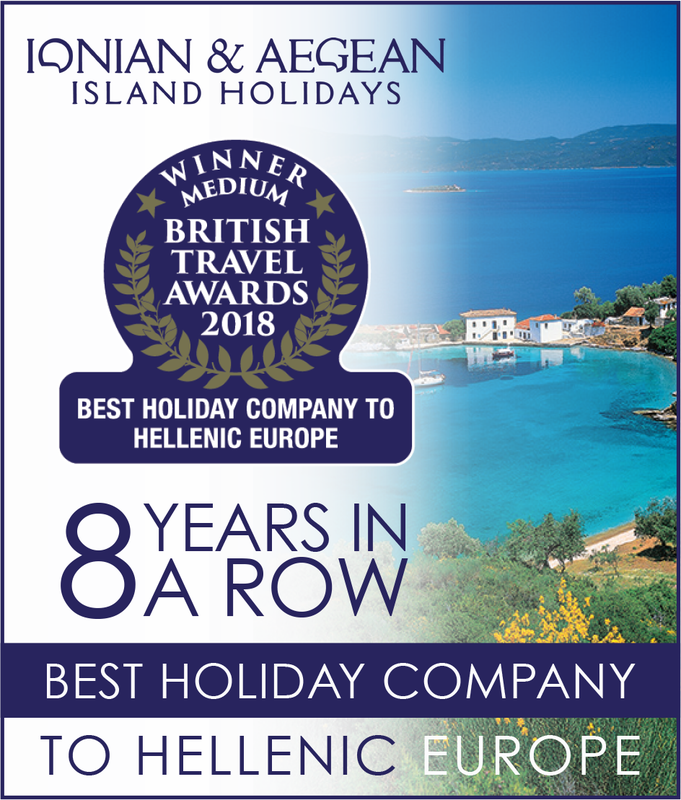 Set in olive groves just above Arvanitakeika, it is only a short drive to both Gaios and Loggos, and only a short walk to the mini market in Fontana for those essential supplies. 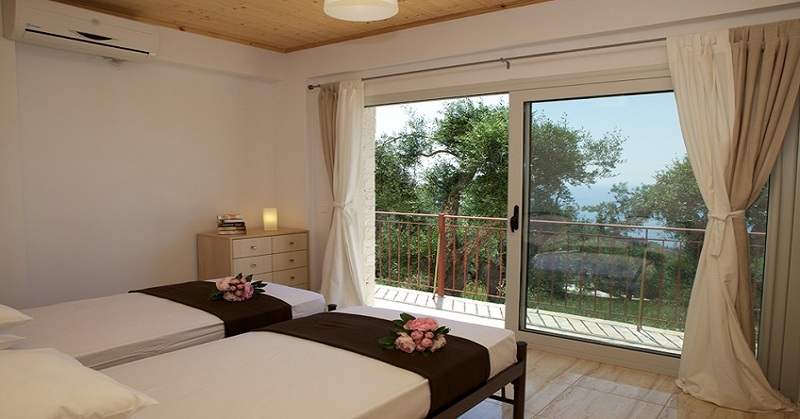 The amazing panoramic views from Villa Sunset are un-obscured and unrivalled on the island. Greece is famous for the clarity and colors of its landscapes, from the villas many terraces and patios you must able to see more shades of blue and green than anywhere on the rest of the planet. Out to sea there is nothing except a thin line in the far distance where sky and ocean meet. 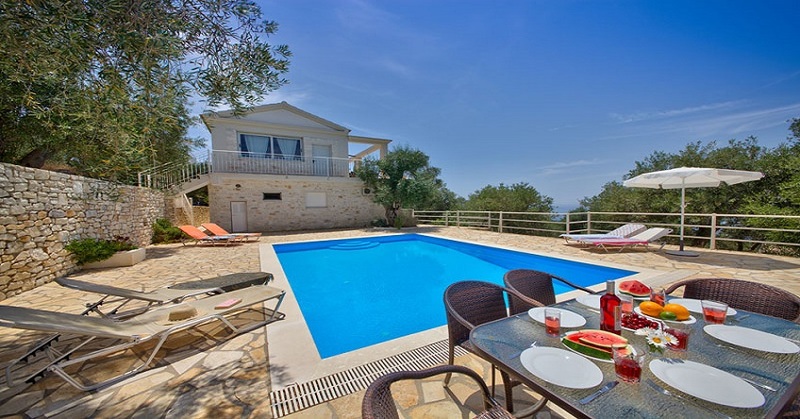 Villa Sunset stands proudly and naturally blends into the Paxos landscape. 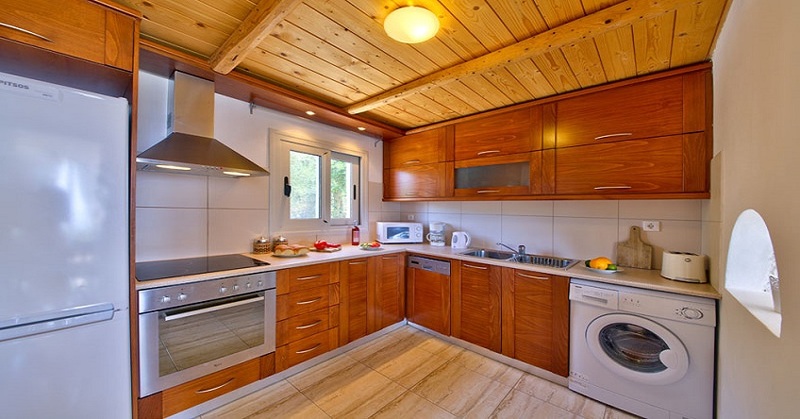 The house has been built to a high standard, with much thought gone into the design. It has a timeless and classical grace externally and inside elegant and modern yet maintaining a traditional theme. 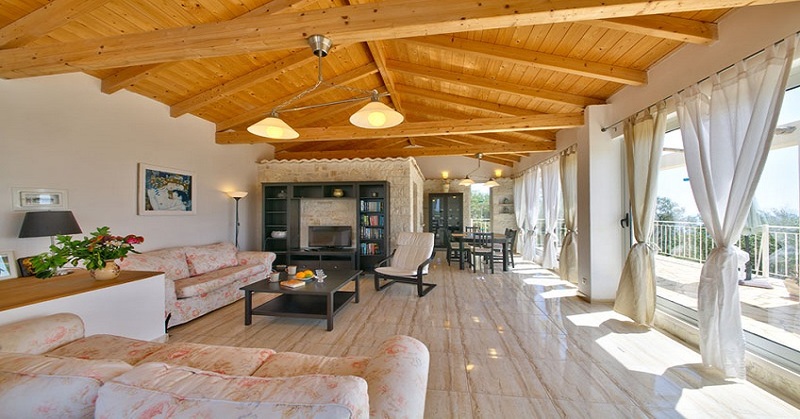 The spacious villa is built on two levels. All of the three cool and airy bedrooms are on the ground floor with two bathrooms on this level. 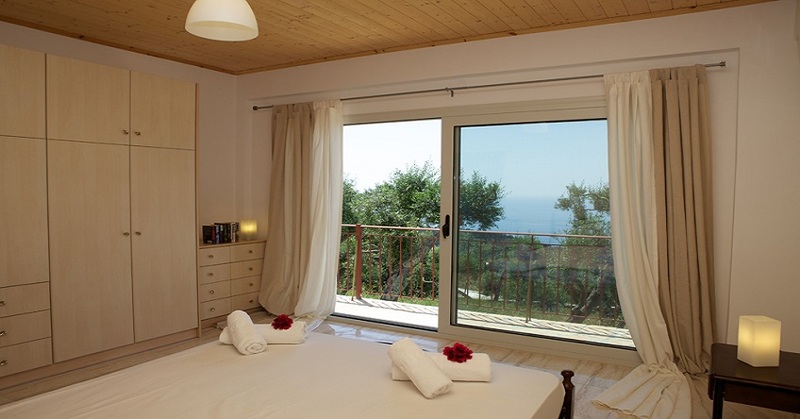 Two of the bedrooms are sea facing taking full advantage of the spectacular view. On the upper level is the large open plan living and dining area with a wide picture window revealing a panorama that is quite simply breathtaking. With nothing to interrupt your complete relaxation, Villa Sunset is the most perfect place to totally relax and unwind. 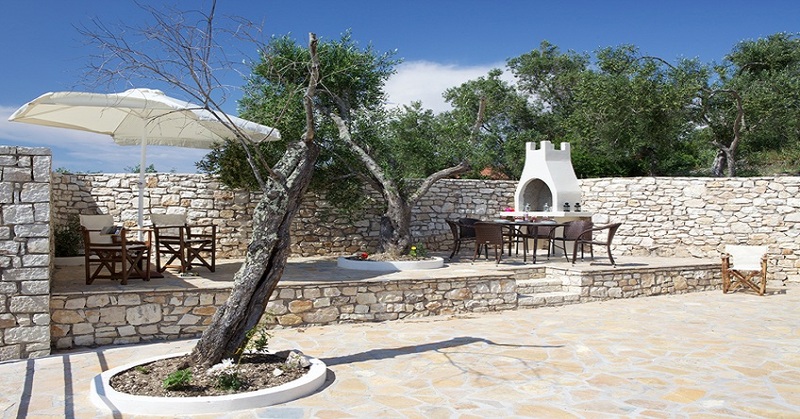 The villa has everything you could possibly need, the only question remaining is why you would ever want to leave.